If you are running a food truck business, you understand that the most important costs under your control are food & labor cost. Together these figures are known in the industry as a food truck’s prime costs. Being able to compare these costs ( in a percentage format) against typical scenarios of other foodservice businesses is helpful in the management of your mobile food business. Both food and labor costs vary with the type of food service operation. As a rule, food trucks that sell higher quality food products will have higher food and labor cost percentages than the typical taco truck. The product sales mix, quality of food and service, pricing and amount of hours the truck operates will impact your food and labor cost percentages. Furthermore, state minimum wage differentials affect the labor cost percentage. The extent of beverages sales as part of your truck’s food mix also can have a considerable impact on total food cost percentages. Food & labor cost is calculated as a percentage of the total volume of revenue (sales). If a food truck does $5,000 per week and the total cost of food and beverages is $1,750 for that week, then the food cost is considered 35 percent. If, at the same food truck, labor (including payroll taxes and benefits) equal $1,250 for the week, then the labor cost is 25 percent. 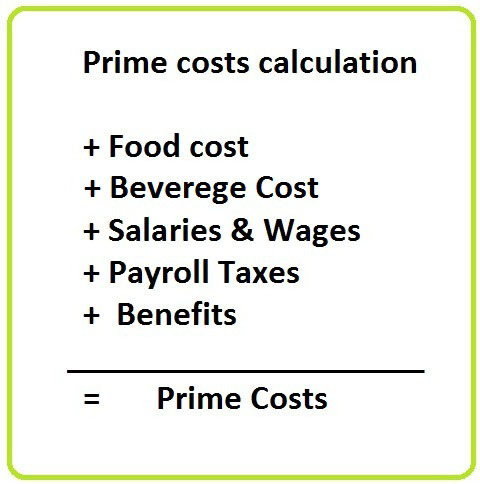 Total prime costs are 60 percent in this example. Certain hot dog or taco trucks can achieve labor cost as low as 20 percent, while food trucks with menu items with intensive preparation time are more likely to see labor in the 30 percent to 35 percent range. Food costs (including beverages) for the entire food service industry (including table service brick and mortar restaurants) run typically from the 25 percent to 38 percent range, depending upon the service style of establishment and the mix of sales. In order to make money in the food truck business, prime costs should generally be in the 60 percent to 65 percent range. How that breaks down between food and labor is less important than achieving a prime cost maximum that produces a satisfactory profit. So if one of the prime costs is in the higher range, the other prime cost must be in the lower range to achieve profitability. 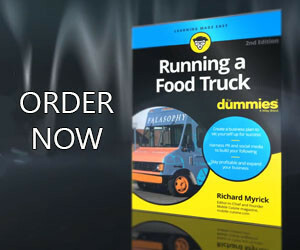 Remember it is the combination of food & labor cost that creates your food truck’s bottom line.